Beth Barany to Present at Keynote Mastery LIVE! No more starting artists or authors! 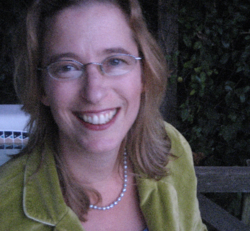 Patrick Schwerdtfeger announced today that Beth Barany will be one of the eight speakers participating in the much-anticipated Keynote Mastery LIVE event that will take place on June 13, 2012, beginning at 6:30 p.m. at the Oakland Scottish Rite near Lake Merritt. 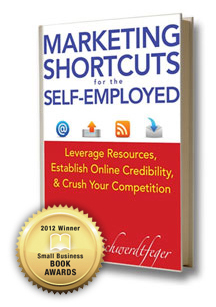 Over 400 attendees are expected to attend, mostly self-employed professionals and small business owners. Keynote Mastery LIVE will feature eight aspiring speakers, each speaking for just eight minutes, all while camera crews scurry about to capture the whole thing on video. The speakers will be delivering their very best content, hoping to yield compelling videos they can use in their marketing efforts. Join over 400 attendees for this one-of-a-kind event and get a rare behind-the-scenes glimpse to the fascinating world of professional keynote speaking. Beth Barany will be presenting “Creativity Pays – No More Starting Artists or Authors!” Many authors think that art and business have nothing to do with each other. But actually we creative writers—yes, you too novelists!—are well suited to apply our creative skills to the art of building a successful business. If you just uncover how sales and marketing are all about sharing your stories with those who want them, then you'll create the successful and sustainable career you desire. Beth Barany is the bestselling author of The Writer's Adventure Guide: 12 Stages to Writing Your Book, and Overcome Writer's Block: 10 Writing Sparks To Ignite Your Creativity. She's been a columnist and editor at The National Networker, and a contributing author to several anthologies, including Writing Romance, a bestseller, and Creativity Coaching Success Stories. She is the editor of When I Was There, the bestselling anthology of stories about life at UC Berkeley, 1960-2010, and is also the editor for the bestseller, Honest Medicine: Effective, Time-Tested, Inexpensive Treatments for Life-Threatening Diseases by Julia Schopick. Beth works with clients in the US, Canada, and Europe. 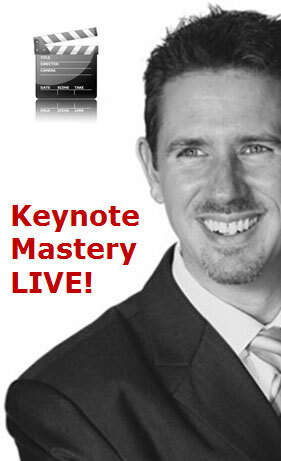 Keynote Mastery LIVE is a made-for-media event where nine Keynote Mastery graduates will create high-quality demo videos by delivering short speeches (of eight minutes or less) in front of 400 attendees as well as a full videography and photography crew. Dynamic photos and high quality video are essential elements in speaker marketing and Keynote Mastery LIVE is designed to facilitate the creation of both for its graduates. Attendance at Keynote Mastery LIVE is free of charge. The event will take place on June 13, 2012, at the Scottish Rite at 1547 Lakeside Drive in Oakland, California. Each attendee will receive a feedback form where they can contribute written testimonials for the speaker(s) of their choice. Attendees can expect theater-style seating, dimmed audience lighting and a raised stage with screens on either side. Patrick is available for television appearances and media interviews. He can be contacted through his website.